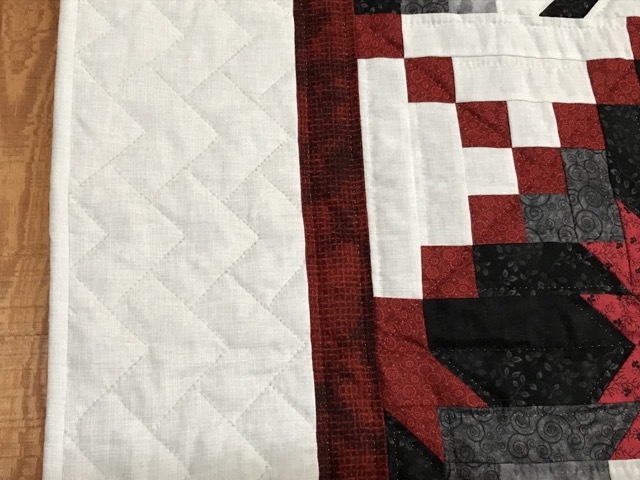 A challenging pattern with a superb use of color. 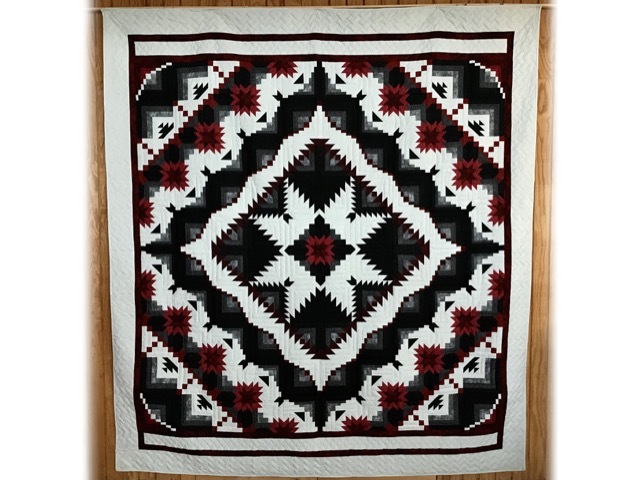 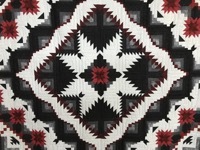 Exquisitely pieced and quilted by two Amish women in northern Ohio. 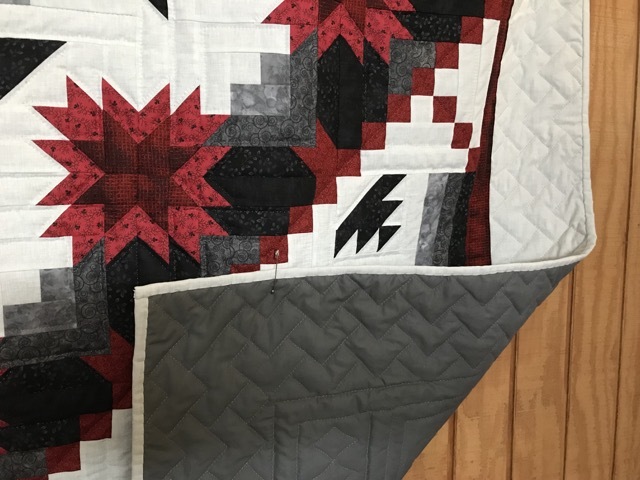 The setting material is a very subtle grayish white print.